I just wanted to take the time to write you guys this email, and applaud you on being f#@king fantastic! As of late, I’ve been seeing a lot of people posting on social media, asking who they should use to insure their rigs. I can honestly say, I’ve never before in my life, been as confident in, or so ‘for’ an insurer as I am with you guys. Yes, there are, as always, people who will whinge and complain, and find anything to pick on and try and make a big deal out of it. I’ve seen people complain about the quote that they received from you guys, and you know what, they’re right… you’re not the cheapest insurer out there, but in my opinion, you are by far the best. Yes, I pay $11 a month more with you than I was with my previous insurer, but you offer more services applicable to me and my lifestyle, than any other insurer does. The agreed value with you, is actually fair and a true representation of what my Jeep is worth, and how much money has been invested in it. That, is to me probably one of the most important things. I’m a single father full time to 3 young children, and our Jeep is our getaway! We love hitting the trails, we love camping, and the piece of mind that I have with knowing that you guys have actually covered everything that I’ve invested into it, is priceless. If something were to happen to my pride and joy, we’re literally in a position where I’d never again be able to afford to purchase anything like it again. It is pretty heavily modified, and if anything had happened to it, we’d end up in a tonne of debt owing on a car we don’t even have anymore, and I’d be driving around in a $500 Corolla. 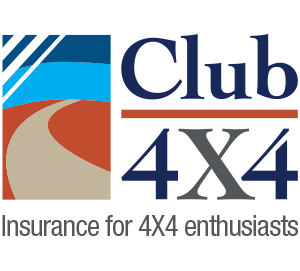 With it being insured with Club 4×4, I’m literally at ease knowing that we’re covered. Earlier today, I listened to the 4×4 Earth podcast where Kalen was interviewed. The interview ended and I had a few questions I’d wanted to ask, so I called your number. The phone was answered by a girl by the name of Carly (hope I spelt that correctly), and she was honestly so helpful, hospitable, and completely transparent. I’d asked a question regarding mods affecting a certain type of claim, and whilst she was pretty certain her answer was correct, it still didn’t stop her from politely asking me to hold for a moment, while she went and spoke to somebody else just to confirm that what she was telling me was correct. She could’ve just as easily told me what she thought, and simply left it there and ended the call, but she didn’t. She was honest in telling me that she just wanted to check that what she had told me was in fact true, and she took the time to speak with me for approximately 10mins, and not once did I feel as though I was being a burden or that she was wanting to just hurry me up and get me off the phone. Don’t mean to waffle on guys, but I just like giving credit where it’s due, and I think that Club 4×4 deserves all the credit and recognition it can get. Thanks for being great at what you do and for bringing insurance that’s applicable to 4×4 enthusiasts to the market. It’s nice to finally feel as though I’m actually paying for insurance that genuinely covers my Jeep. I’m in a similar position to Bernie, if my pride and joy was written off, I would be out of pocket heaps. I’m is a slightly better position, though, I don’t owe any money on my 2005 Prado GXL turbo diesel, but it has had a lot spent on extras and other modifications to make it a more than capable long distance tourer. With my previous insurer, I would have been able to replace the vehicle, but not the majority of the extra modifications. With Club4x4, not only can I replace the vehicle, but all of the modifications to the Prado. And all of this for a premium that turned out to be $3 per month LESS than my previous insurer !!! I couldn’t be happier ! Fantastic! This is why we exist – to cover you for the full investment you make into your setup. Really pleased to have you on board and thanks so much for taking the time to tell your story. Well I would have to totally agree with Bernie. 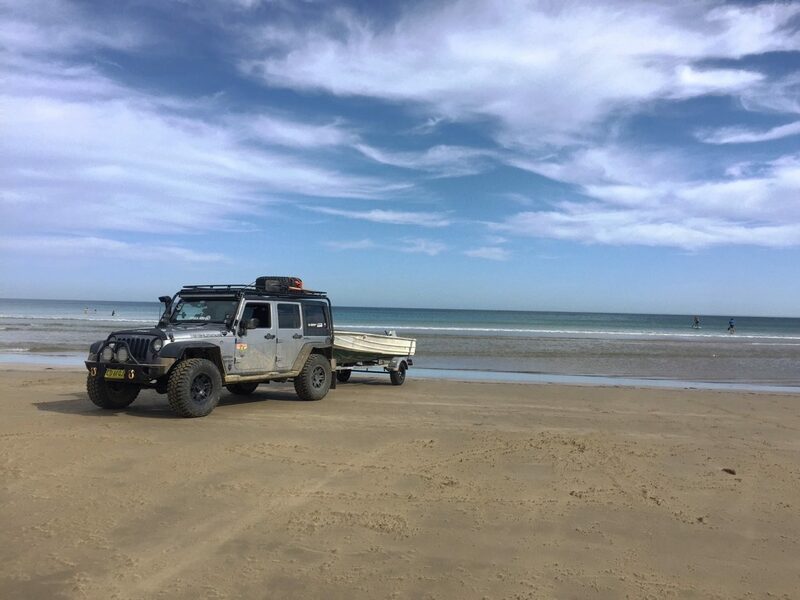 My last insurer would only insure my 2007 Rodeo with heaps of extras, which are all ARB products, was $13000, I put in a quote thru Club 4×4 and it went straight to $31000 and my payments went up by about $10 a month, We could not be happier keep up the great work. Great to have you on board – thanks so much for entrusting us with your truck.